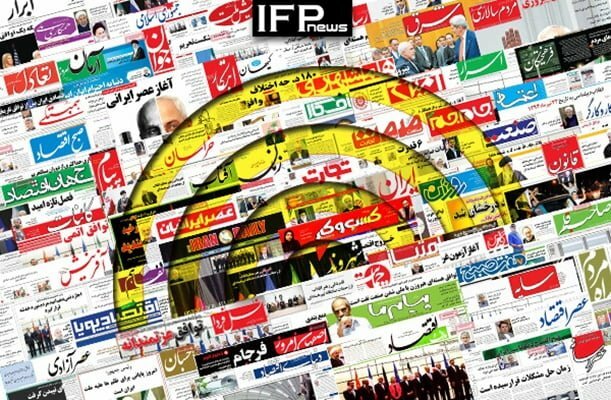 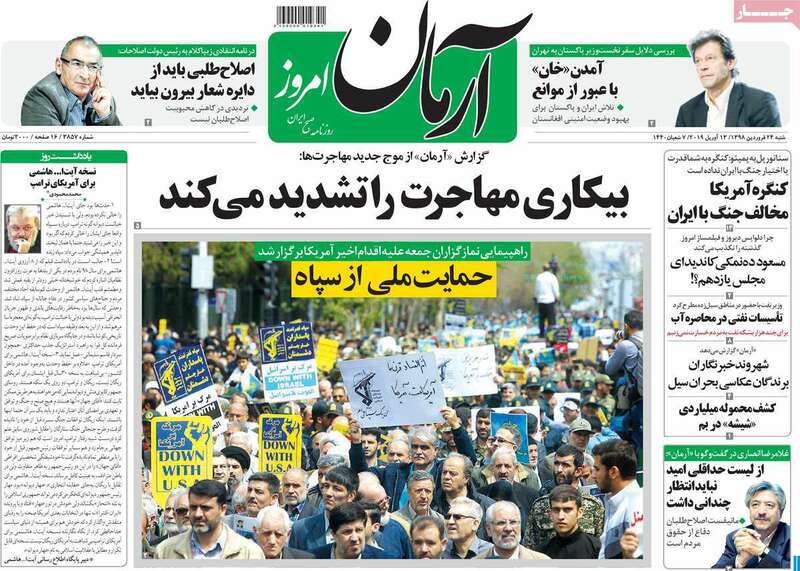 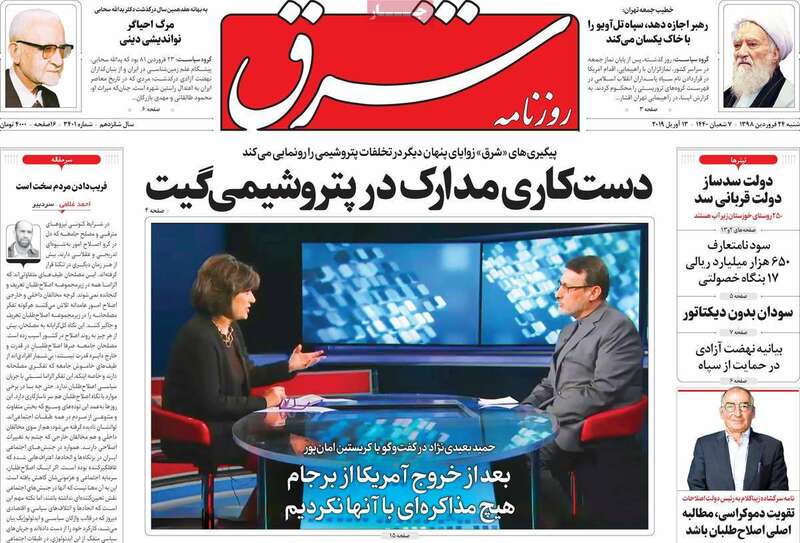 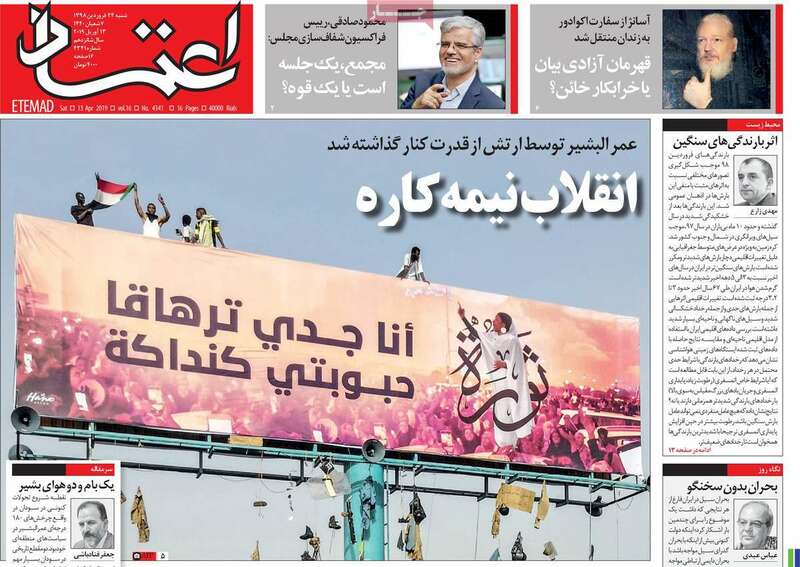 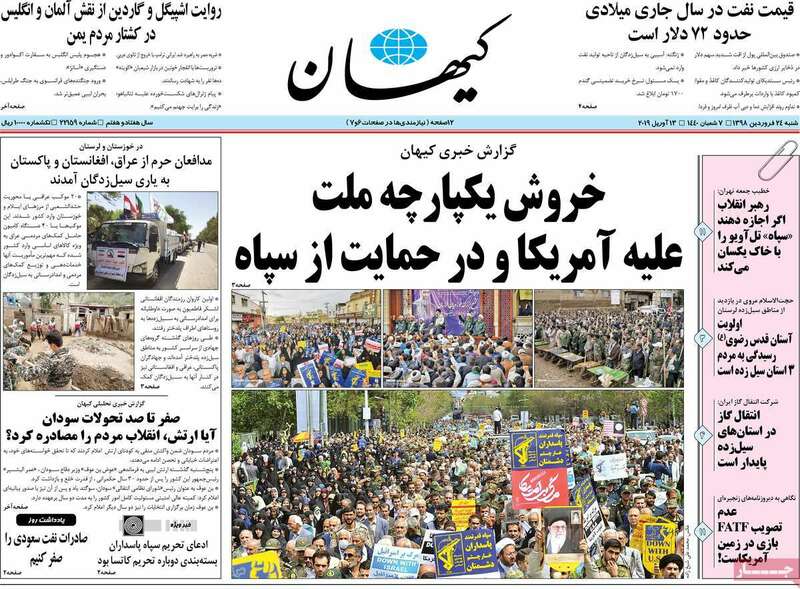 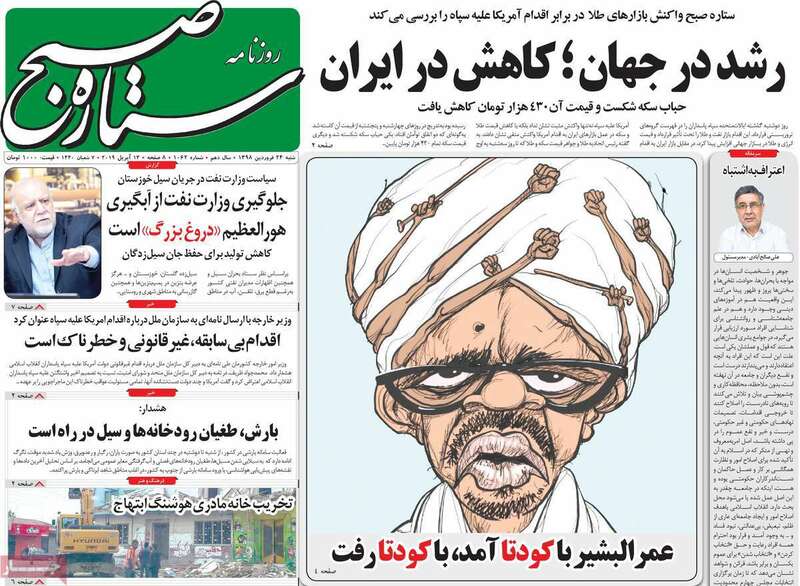 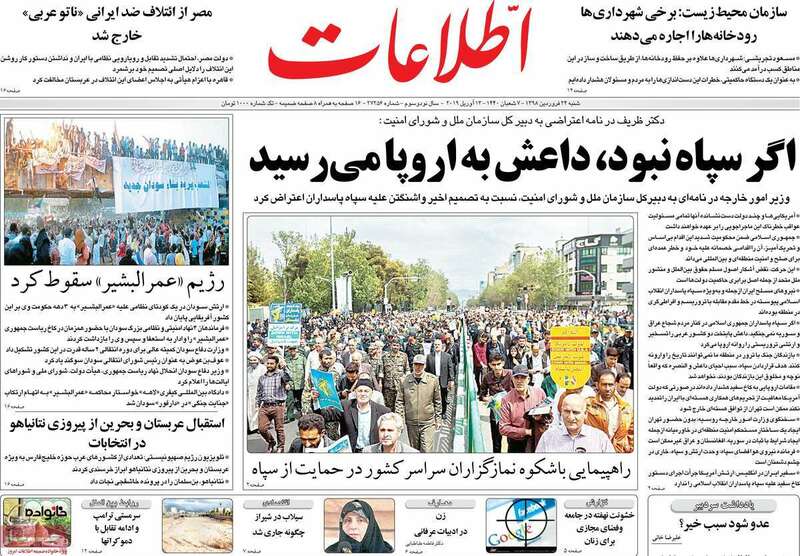 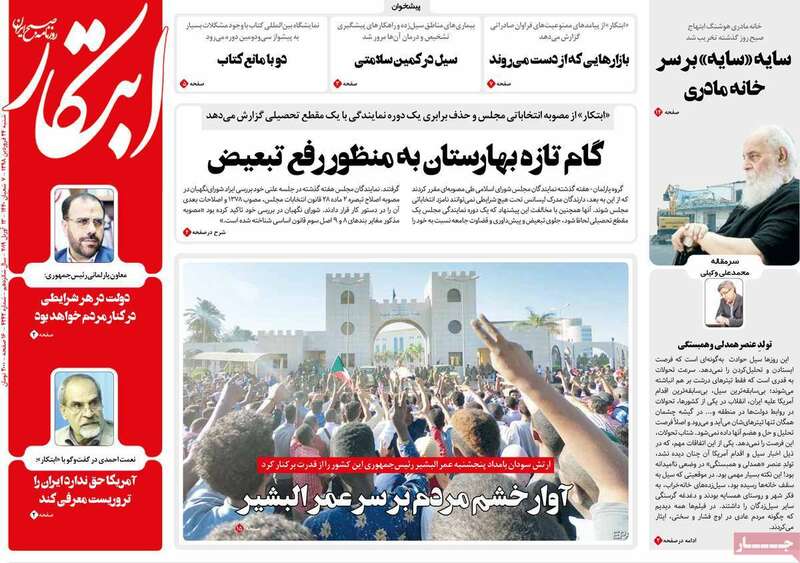 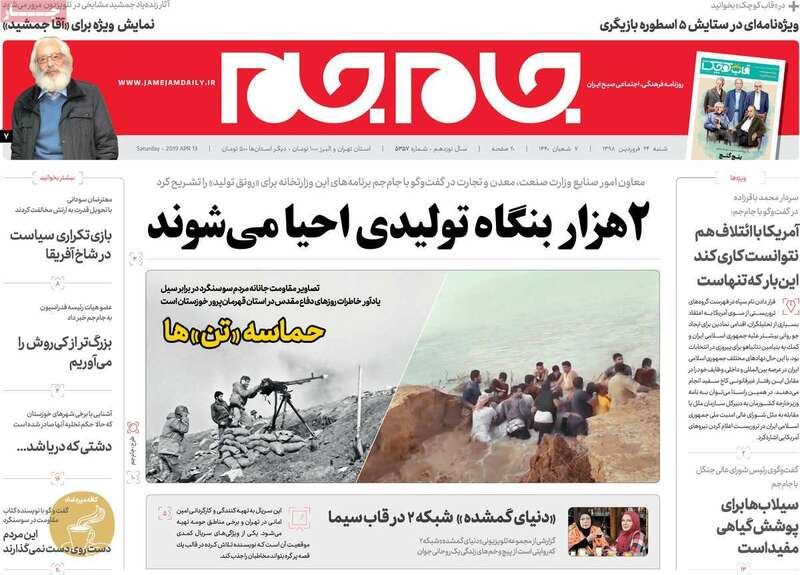 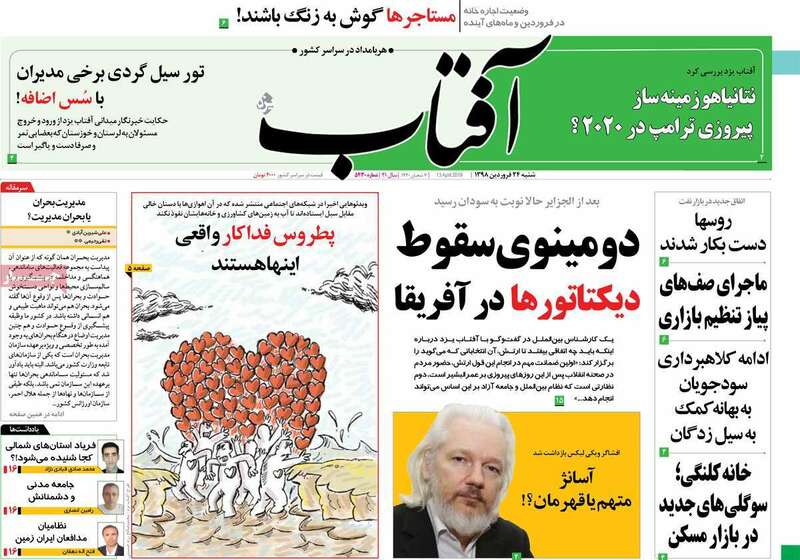 Iranian papers today widely covered the Iranian nation’s support for the Islamic Revolution Guards Corps and their condemnation of the US’ move to blacklist the IRGC. 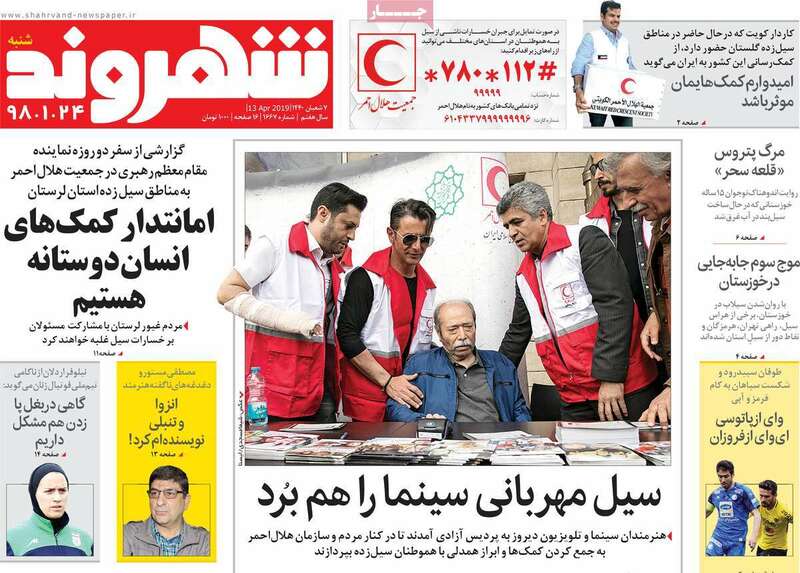 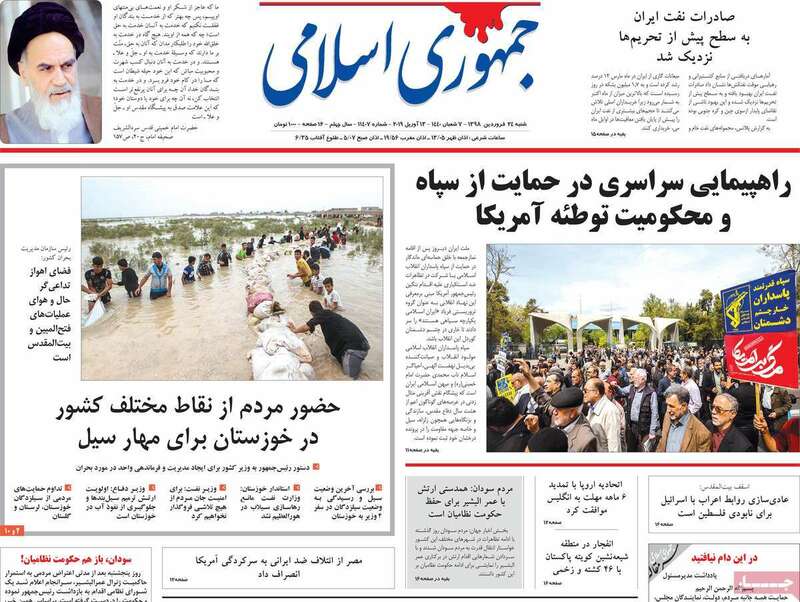 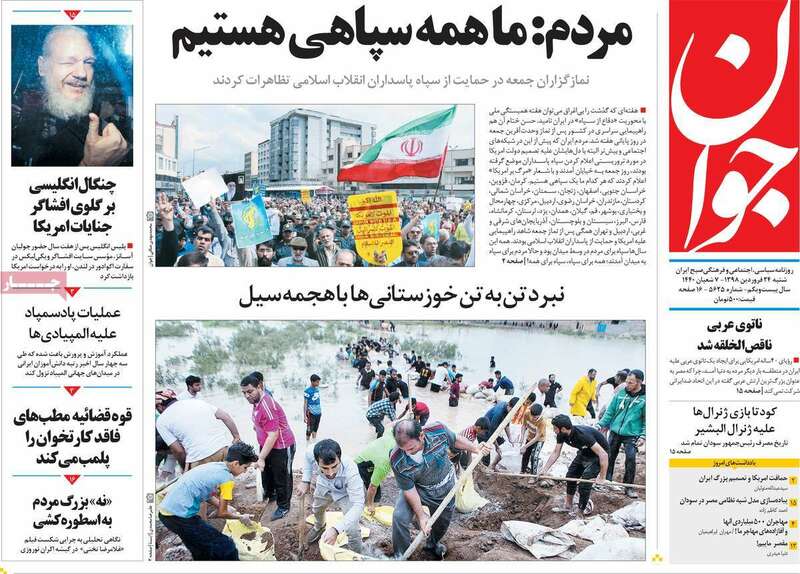 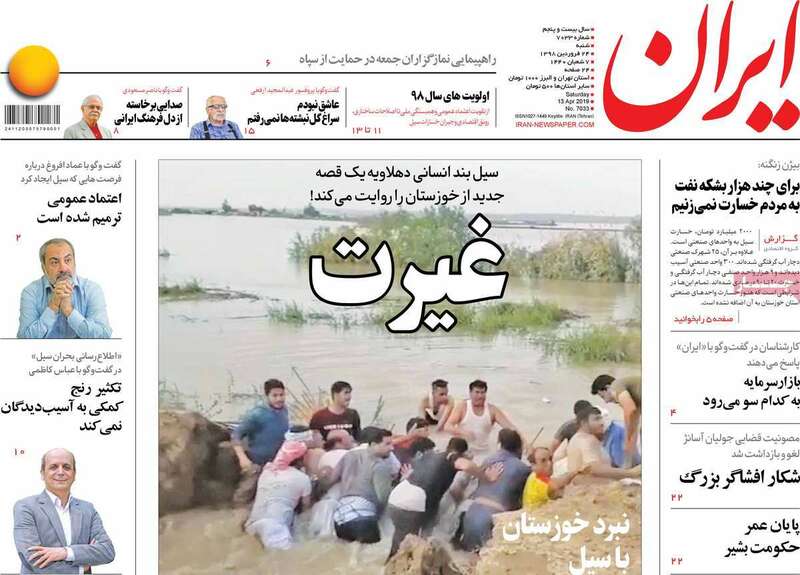 The ongoing rescue and relief efforts to help the flood-hit people of Khuzestan and Lorestan provinces also received great coverage in today’s papers. 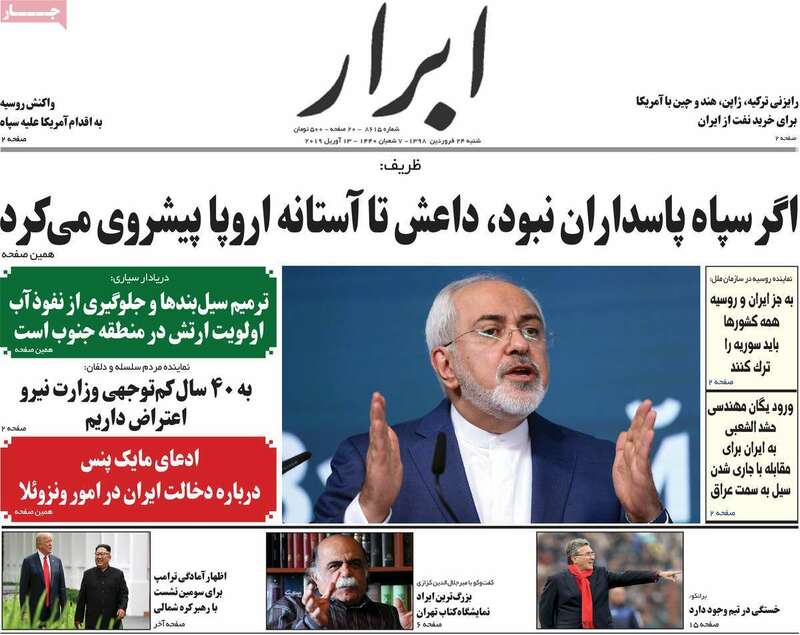 1- Netanyahu to Pave the Way for Trump’s Victory in 2020? 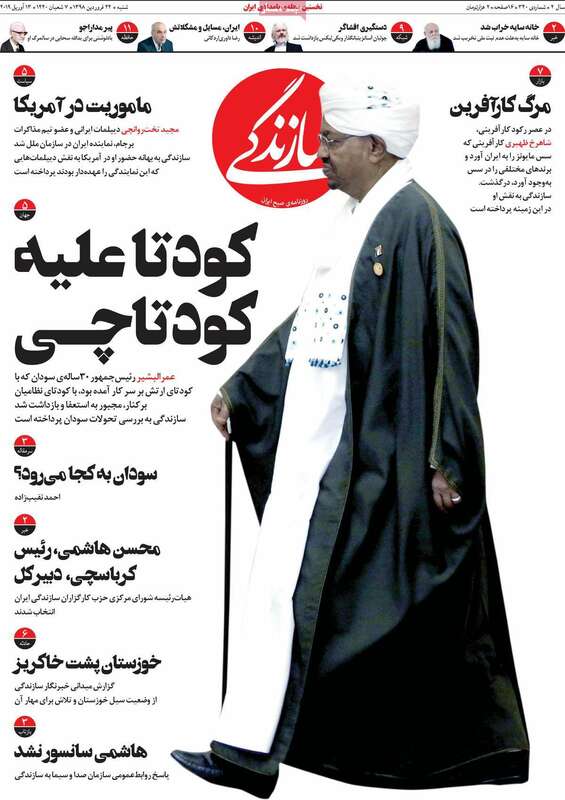 2- Where’s Sudan Heading to?